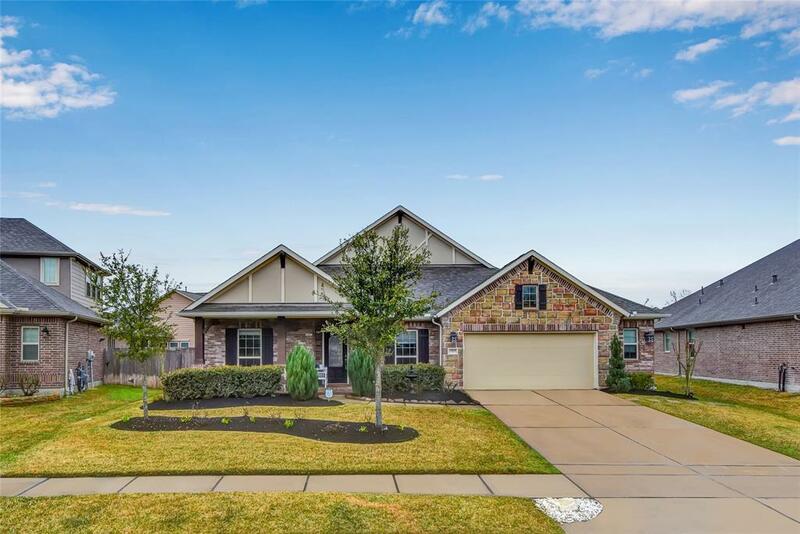 BEAUTIFUL RYLAND HOME LOCATED IN THE DESIRABLE GATED PRESERVE OF NORTHAMPTON**STONE/BRICK 2-STORY WITH OVER-SIZED 2-CAR OVER-SIZED GARAGE with WORKSHOP AREA**4 BEDROOM/3-1/2 BATH home with lots of upgrades. Home includes separate Study, Guest Bedroom, Formal Dining, Island Kitchen ith Breakfast Bar, large Pantry, spacious Breakfast Room. 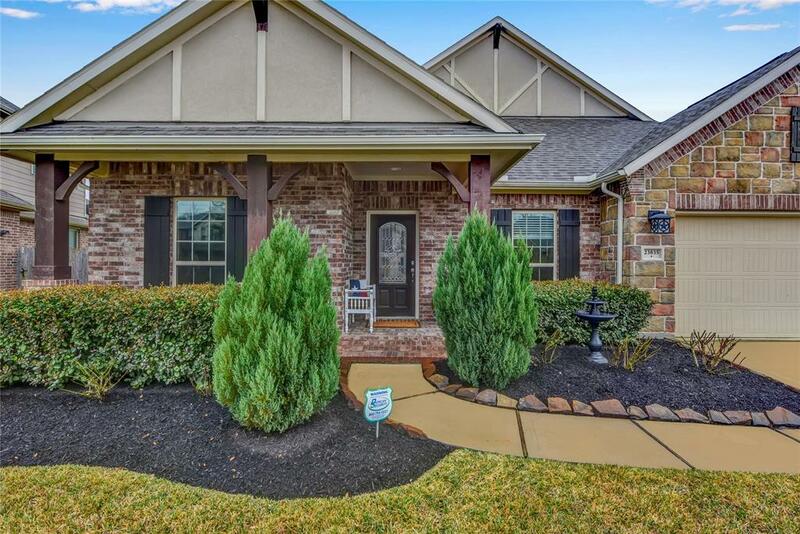 Kitchen boasts granite counter tops, glass subway tiles, stainless appliances and great flow to the Family Room. Family Room has high ceilings, large gas log fireplace and is centrally located. 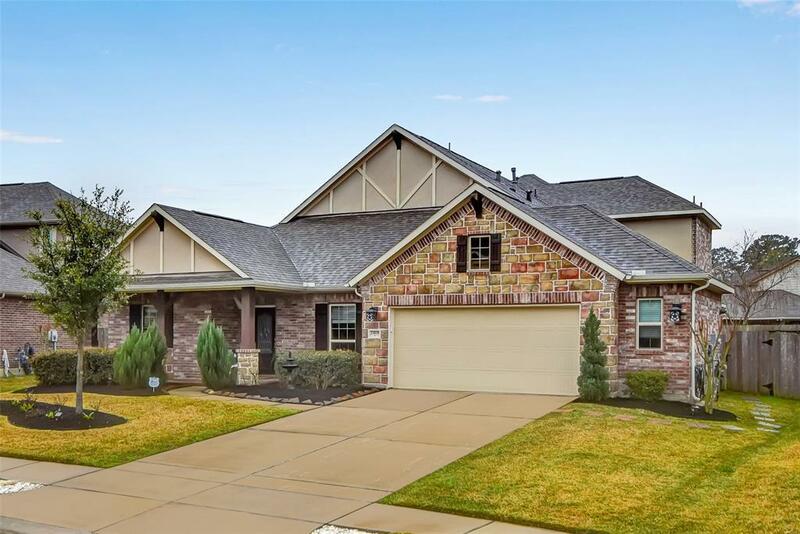 Master Suite is very spacious, with high ceilings and bay window that overlooks backyard. En-suite Master Bath is large and well appointed with granite counter tops, double sinks, tiled shower and jetted tub. Upstairs is a grand-sized Game Room, Powder Room and a wonderful Media Room complete with large wall-mounted screen. 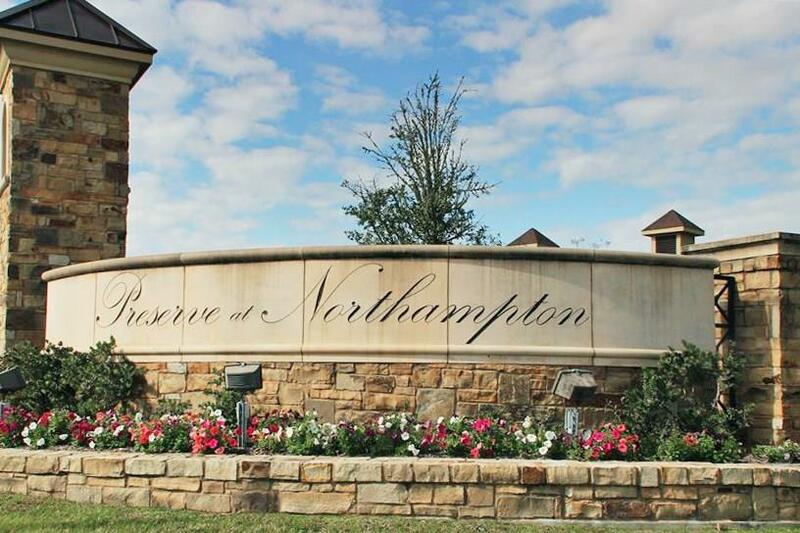 Lots of neighborhood amenities including pool, park/playground, soccer field and bus-stop. Easy access to 99 Grand Pkwy. A MUST SEE!